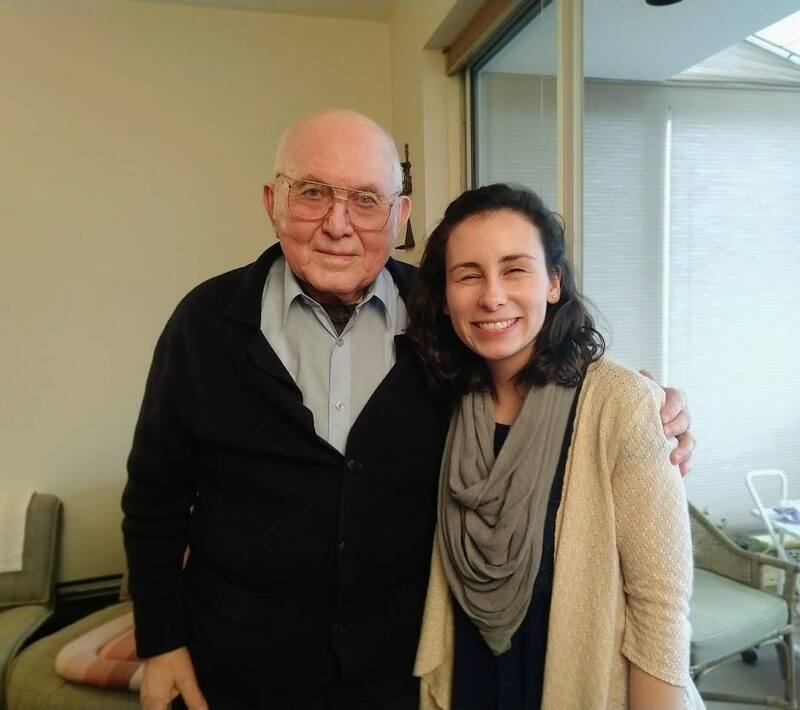 Since I've been studying the Warsaw Ghetto for the past few years, I had lots of questions for Pinchas which he so graciously answered for me. To read a complete history of his Holocaust experiences, I highly recommend purchasing a copy of his memoir, Memories in Focus. In addition, you can watch his documentary Politische Pole-Jude | The story of Pinchas Gutter on YouTube and see more pictures of Pinchas on the Azrieli Foundation website. The Warsaw Ghetto was established in October 1940 and sealed off from the world in November 1940. Nearly half a million Polish Jews were enclosed into an area of just 2.4 percent of the city and surrounded by a 10 ft brick wall. Their official daily rations consisted of only 184 calories. To put that in perspective, 184 calories is less than a bar of chocolate. 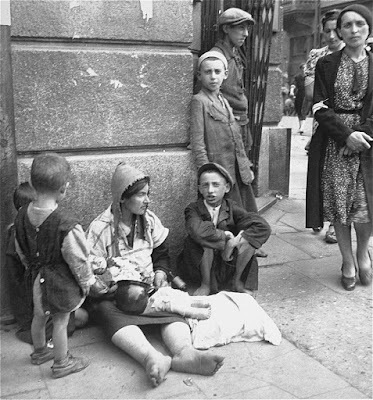 Between 1940 and mid-1942, it's estimated that 83,000 Jews died of starvation and disease in the Warsaw Ghetto. 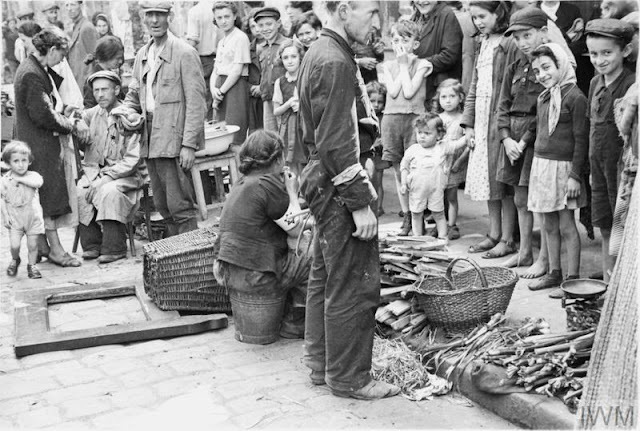 The black market and smugglers sustained the flow of food into the ghetto for those who could afford the money and risk. 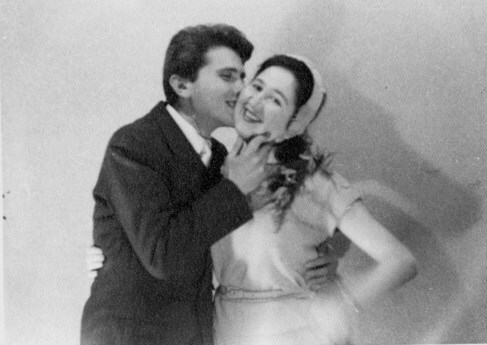 Pinchas was one of the few people who didn't experience hunger in the ghetto as his parents managed to keep him and Sabina fed. The ghetto was patrolled by the Jewish Ghetto Police in collaboration with the Nazis. While some Jewish Policemen showed kindness, others were cruel. They assisted the Nazis in deporting their fellow Jews by having a daily quota during the deportations that they were required to fill. Pinchas described the ghetto as a cauldron where the Nazis threw in humanity, mixed it, and evil came out. "Warsaw Ghetto was a cauldron of inequity," he said. 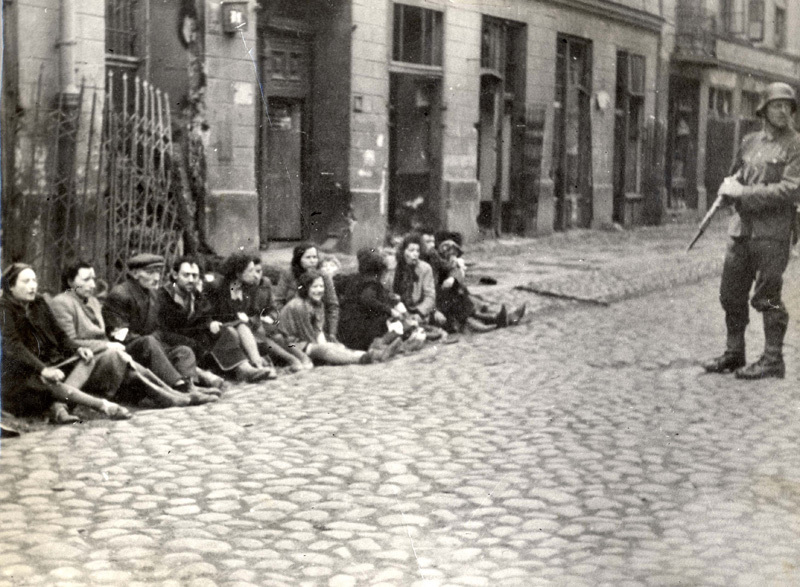 Occasionally, Pinchas would see German officers ride their cars into the ghetto, accompanied by their girlfriends. They would take out their revolvers and shoot people at random on the streets. Even though Germans weren't on the streets daily, they were a constant presence in the ghetto by issuing decrees through the Judenrat (Jewish Council), Jewish Police, and through random acts of terror. Pinchas was a curious boy, so after eating his breakfast and helping his parents, he ran around the streets of the ghetto to observe all that was happening. He saw people dying in the streets and peddlers desperately trying to make a living by selling their possessions. Finding sufficient food was the main concern in the ghetto. "Living in the Warsaw Ghetto was apocalyptic hell. Minute to minute you didn't know what was going to happen to you," Pinchas explained. "Often Nazis would come in and surround a building, take out people and shoot them ... they kept terrorizing. The whole thing was to undermine and break moral and social fabric of humanity." Schools were forbidden in the ghetto, but that didn't stop Jews from continuing to educate their children underground. Pinchas's father managed to secure enough money to send Pinchas to a religious teacher who taught the Talmud and Old Testament in a small room somewhere secretly. He couldn't study very long because food had to be put on the table and funds were running low. That was the only form of education Pinchas had in the ghetto. Religious education and prayer were always carried out clandestinely. In addition to underground schools, Jewish intelligentsia managed to keep their culture and morale alive with underground cultural activities. 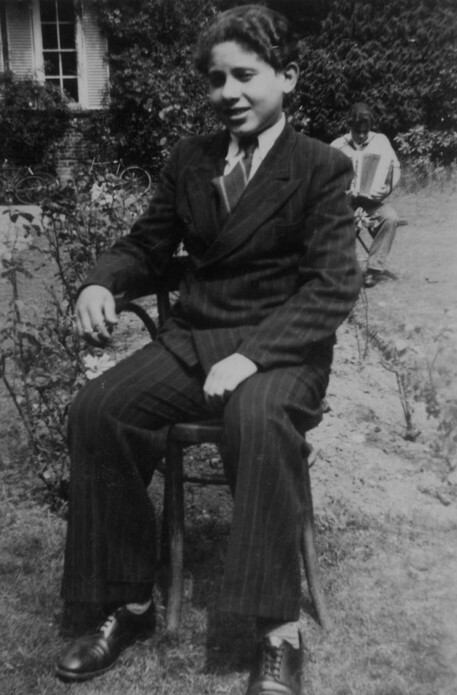 Emanuel Ringelblum created the Oyneg Shabes, a collection of diaries, letters, and art written by Jews to document what they endured in the ghetto. They were writing the truth so that future generations would know what had happened. 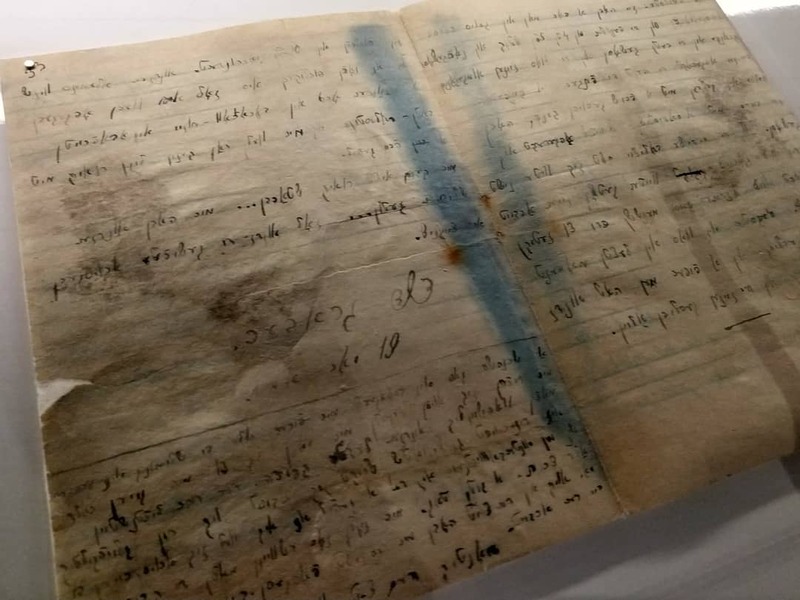 Note: The archive was discovered after the war and is now on permanent display at the Jewish Historical Institute in Warsaw. I had the opportunity to see the original documents and milk can they were buried in while visiting Poland last summer. The other milk can is on display at the Holocaust Memorial Museum in Washington D.C. There was an official Jewish newspaper that was published by the Judenrat (the collaborative administrative agency imposed by the Nazis) and sold in the ghetto with an "ok" from the Nazis. Of course, this newspaper only published what the Nazis wanted and were laden with lies and nonsense. To combat this, underground newspapers were circulated around the ghetto which told the truth of what was happening. "There was resistance all the time to every edict they [the Nazis] brought about," Pinchas told me. "People talk about resistance being with a gun, but social resistance is much more powerful." Pinchas's parents didn't allow him to leave the apartment once deportations to Treblinka began. During the second deportation, Pinchas was hiding in an attic and could see the street below through splits in the wooden panels. He heard shooting and watched as Jewish Policemen helped the Ukrainian SS guards scoop up dead bodies off the street and stack them like logs of wood. 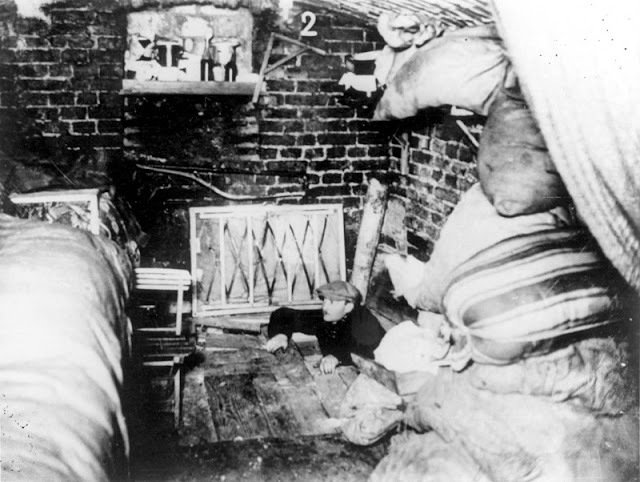 Once it was known that the ghetto was to be liquidated, many Jews in the Warsaw Ghetto began building bunkers. Pinchas and his family lived in an apartment on the corner of Nalewki 49 and Mila 3. (Mila 18—the last remaining bunker of the Jewish Fighters—was not far from their apartment.) The front of Pinchas's apartment building had been destroyed in the 1939 invasion and under this pile of rubble, his father and others built a bunker. They put in electricity and camouflaged air vents. The bunker could hold about 150 people and had two trap door entrances—one in Mila 3 and the other in Nalewki 49. It had two large rooms where everyone slept on the floor. There was a continuous tension in the ghetto because, as Pinchas said, "you didn't know when they [the Germans] were coming." 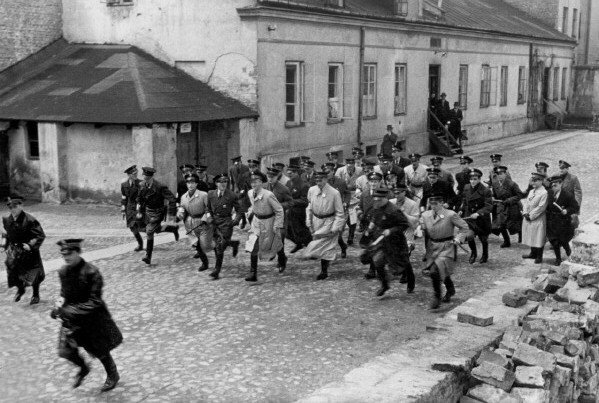 The tension was especially palpable "like thick soup" on the eve of the April 1943 Uprising when the ZOB (Jewish Fighting Organization) took up arms and prepared to engage in armed resistance to the Nazis. Pinchas and his family went down into the bunker on the morning of the Uprising (April 19th, 1943) and stayed underground for three weeks. Once the fighting started, the Nazis didn't dare enter the ghetto at night. During these short respites between fighting, they could climb out of the bunker for a breath of fresh air. But even this was risky because there were Jewish informers who believed Nazi lies that by turning in their fellow Jews their lives would be spared. Pinchas stayed in the same pair of clothes and no one in the bunker had a chance to wash during those three weeks. He read a book to help pass the long hours. The book didn't have a dust-cover so it was only after the war that Pinchas discovered it was "Gone with the Wind." During the third week of the Uprising, Pinchas's bunker was discovered. Whether an informer turned them in, or the Nazis discovered the air vents on their own, Pinchas will never know. "Through the air vents a voice came through in German and then in Polish saying, 'if you don't come out in half an hour we're going to throw gas bombs inside and you're all going to die,'" Pinchas recounted. As they climbed out of the bunker, there was constant shooting and killing in the streets as buildings burned. 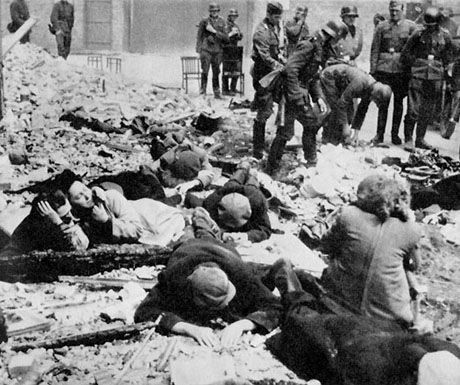 They were ordered to lay in the street as the Nazis collected more people from their hiding places. By the time they gathered a large group, dusk had fallen. Pinchas and his family marched in a huge column, walking between two walls of fire. The only illumination came from the vicious flames. They were taken to the deportation site—the Umschlagplatz— which was not a far walk from their bunker. 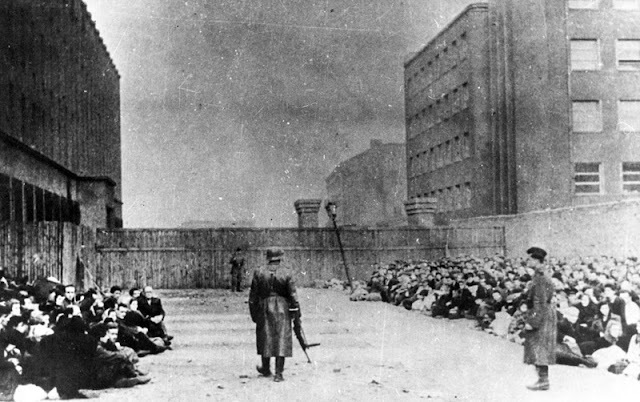 Pinchas and his family were taken to a school building beside the Umschlagplatz and crammed inside a room. There were so many people inside that Pinchas couldn't even lie down. No water or food was given, and they were not allowed to leave until they were deported later the following day. "Imagine what kind of mayhem with old people, sick people, women with children, all squatted into that place where you could hardly breathe. We were not allowed to leave so everybody's business was done in that room," Pinchas told me. "If you wanted to get water, the Ukrainians who were guarding the door would only do so if you gave them jewelry. I saw my father taking the wedding ring off my mother's finger and he bought a bottle of water." In addition to the water, his father managed to obtain a small sack of sugar. Pinchas and Sabina would get a teaspoon of sugar and a bit of water in intervals. He never saw his parents have any. "They just gave to my sister and I." 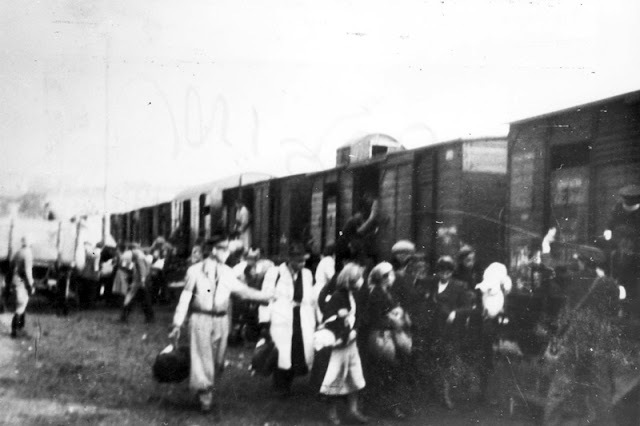 The following day Pinchas was squeezed into a cattle car and taken to Majdanek death camp where his father, mother, and twin sister were murdered that very day. "He tells this story in order to no longer be alone in bearing its burden; he tells this story so that readers can widen the circle, carry the memory and be the legacy that Sabina never had." Amazing story Emily ! So proud of you !